• What's our Goal or Mission? • How will we approach it? • How will we know we are succeeding? Alternatively, download a Powerpoint version which has a section on each page. I've found this useful when I want to facilitate with a larger group. 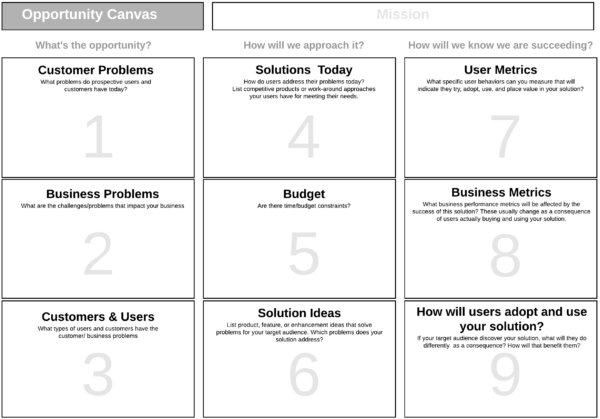 Print out it out large and single sided, put it on a wall, then walk through each section, capturing key points on stickies. Enjoy telling your own Canvas story!